CRAZY COOL GROOVY!!! 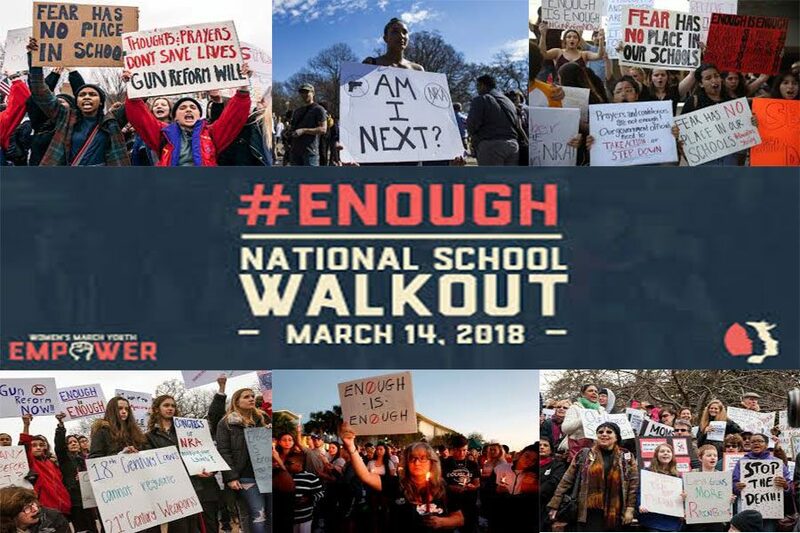 : THOUSANDS Of STUDENTS WALKED OUT Of CLASS TODAY In NATIONWIDE PROTESTS Over GUN VIOLENCE And GUN LAWS!!! THOUSANDS Of STUDENTS WALKED OUT Of CLASS TODAY In NATIONWIDE PROTESTS Over GUN VIOLENCE And GUN LAWS!!! It has been exactly 30 days since 19-year-old NICHOLAS CRUZ carried an AR-15 MILITARY ASSAULT RIFLE into MARJORY STONEMAN DOUGLAS HIGH SCHOOL and slaughtered 17 innocent people!!! The MARJORY STONEMAN DOUGLAS HIGH SCHOOL VALENTINE'S DAY MASSACRE took place the morning of VALENTINE'S DAY Wednesday, February 14, 2018, in the city of PARKLAND, FL, and, today thousands of high school student across the country are participating in a student-created, student-led movement entitled NATIONAL SCHOOL WALKOUT DAY. TIME Magazine reports HERE Is WHY THOUSANDS Of HIGH SCHOOL STUDENTS JUST WALKED OUT Of CLASS TODAY In NATIONWIDE PROTESTS. We have a new icon! Big thanks to our friend and fellow activist Sara Jensen for helping us with it! What do you think? Need to register your school? Tap the link in the bio.